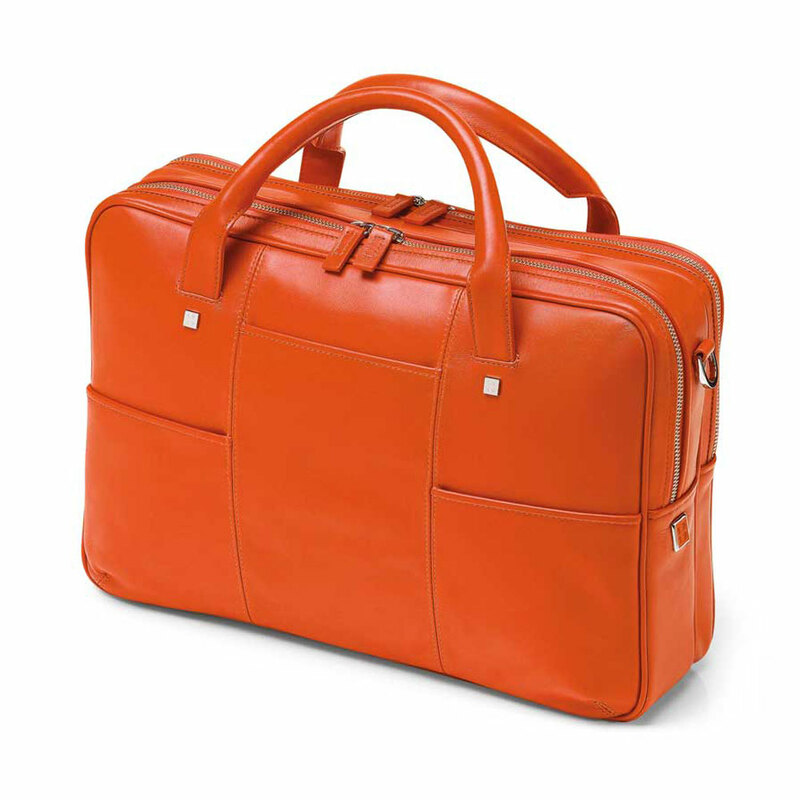 Fedon 1919 British BT-FILE-2-ZIP Leather Laptop Bag in luxurious Orange nappa calfskin. Document bag/Laptop holder handmade in orange luxury leather designed with 2 soft handles, open front pockets, rear pocket and add-a-bag sleeve suitable for trolley. Double-compartments with zip closure. 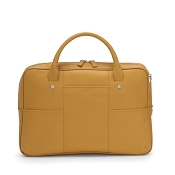 Functional internal compartments and adjustable shoulder strap with leather trims. 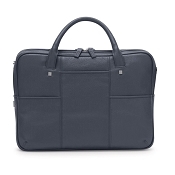 Superb notebook computer bag for pc or MacBook in a bold color. 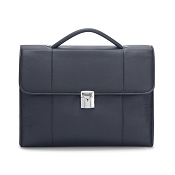 Top quality luxury laptop bag for executives and professionals. Personalize name, initials, monogram, or logo.